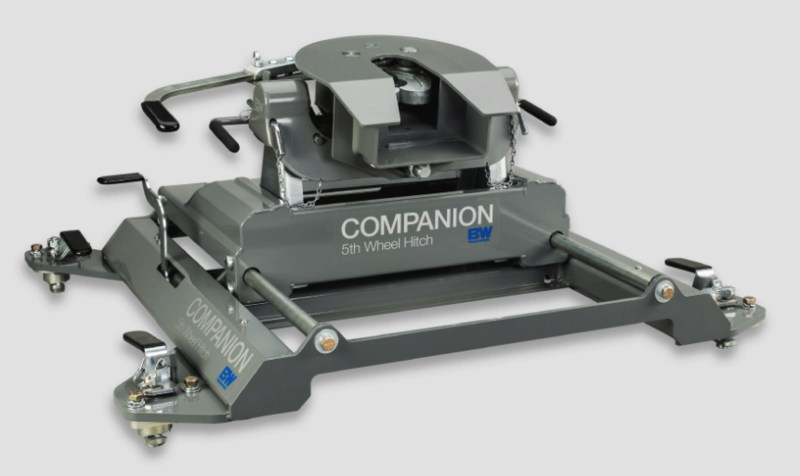 Designed to fit the Ford OEM hitch platform, this Companion hitch is known for its effortless installation and removal, thanks to a cam-actuated latching mechanism and simple two-piece design. Other features, like 1" thick cast-locking jaws, provide a strong connection and a smooth ride. It's everything you'd expect from our Companion series! 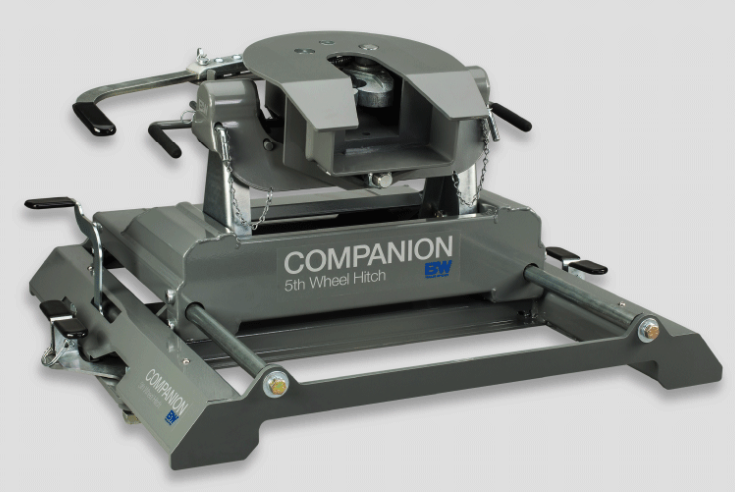 A brother to the Companion, the Companion Slider uses the same great coupler but with a short base designed for steel flatbeds. 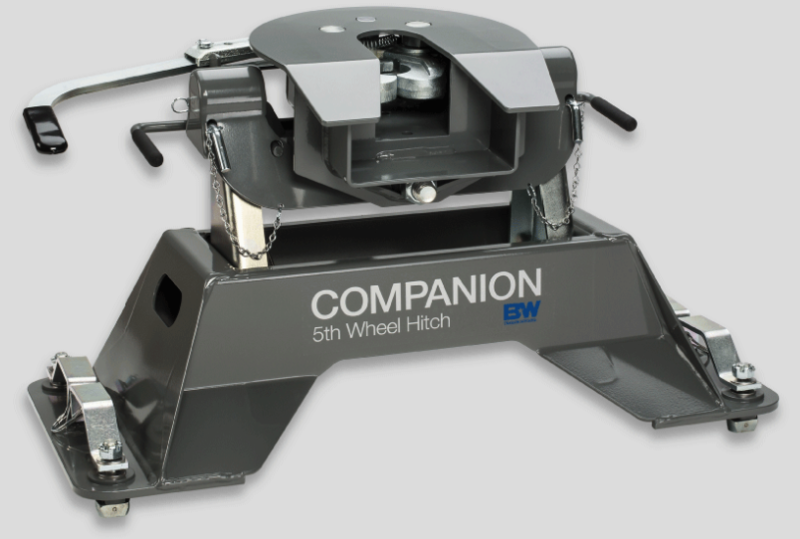 Like every hitch in our Companion series, it offers a smooth ride and easy hook-up and removal for a level bed—all without sacrificing sturdiness, reliability, or towing power. 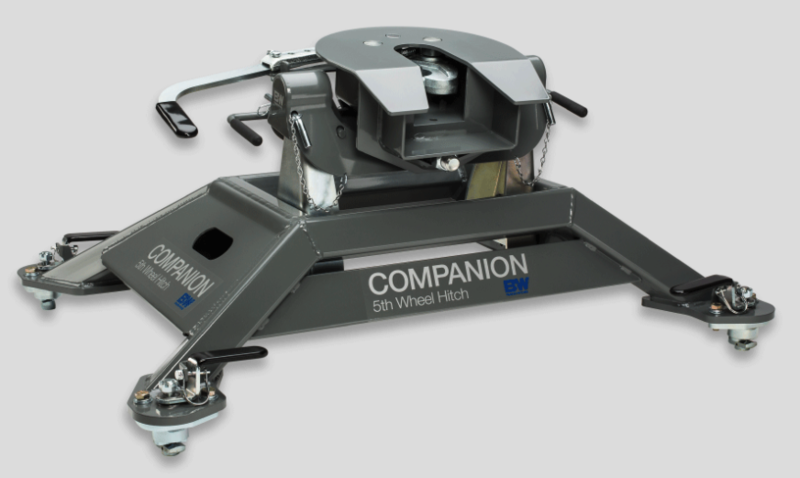 Plus, you have the option to tow a fifth-wheel or gooseneck hitch with the same system. Designed to fit the Ram OEM hitch platform, this Companion hitch is known for its effortless installation and removal, thanks to a cam-actuated latching mechanism and simple two-piece design. 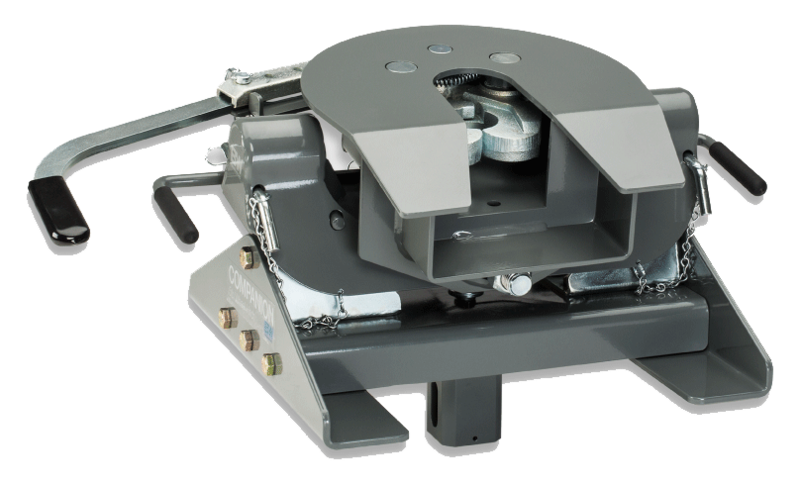 Other features, like 1" thick cast-locking jaws, provide a strong connection and a smooth ride. It's everything you'd expect from our Companion series! Cam-action latching handle for easy release, even when parked on unlevel sites. 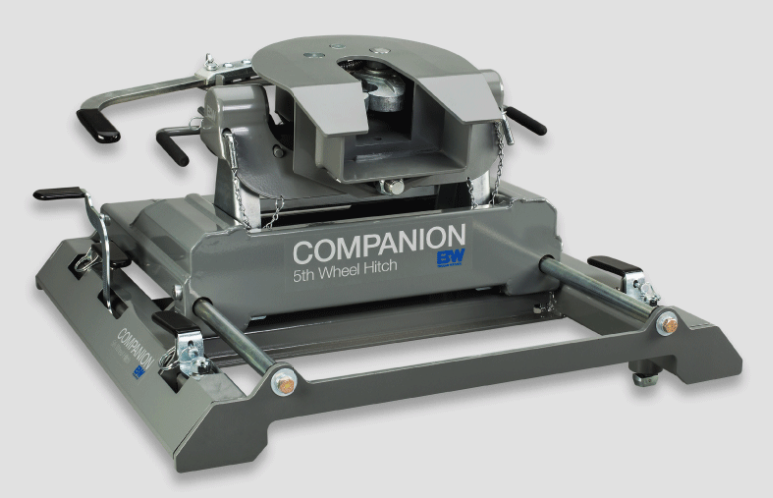 Designed to fit the GM OEM hitch platform, this Companion hitch is known for its effortless installation and removal, thanks to a cam-actuated latching mechanism and simple two-piece design. Other features, like 1" thick cast-locking jaws, provide a strong connection and a smooth ride. It's everything you'd expect from our Companion series!